Wow! I have been asked to participate in a blog hop! Until a couple weeks ago, I did not even know what that was. However, when my sweet friend and sister-in-ministry, Katie Oldham from Happily Whole, asked me to participate, I decided to give it a shot. I have know Katie for nearly a year now, as we both write for aNew Season Ministries. She is a beautiful lady, inside and out, who love the Lord with all her heart and uses her gifts to nourish women, inside and out. Thanks, Katie, for the invite! What am I working on? Well, clearly, not enough, as evidenced by the lack of posts lately. Ha! 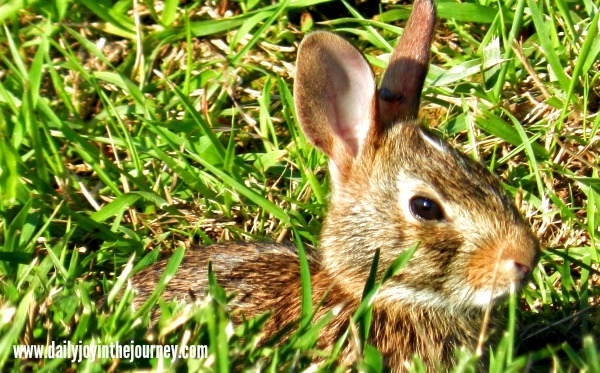 On my blog to-do is our summer – the missions trip to SC (some posts written, but I have not told all that God did in us and through is there). I also have some season-of-life issues to write about as I reflect on the changes in me and my world over the past few months. How does my work differ from others of the genre? God keeps showing me again and again that in His economy, all we go through is praiseworthy. This blog helps me keep that in perspective. I journaled for years prior to putting it out here in the public realm, and it was always helpful to me. I would use pieces for devotions at church and with my work in widows’ ministry, and always got a good response…so I decided this might be a way to meet more people and share with them what God has done. Lord willing, it helps them see their lives as a series of blessings from God., regardiness of the circumstances. Why do I write about what I do? I guess I answered that in part above…but here are some more details. I get teased for being a glass-is-always-half-full gal, the perpetual polly-anna. I don’t look at those qualities as being bad. I like being positive! When I start to feel a little down, I look to what God has done that week, that day, in my life. He is always there working, no matter the circumstance, and sometimes I just need a perspective adjustment. I need eyes to see the truth of His love swirling around me, to see the joy even on the darkest of days, to see who I am in Christ, regardless of what I have done or not done. Maybe by sharing my journey, I can awake someone else to the joy in theirs. How does my writing process work? Many years ago I had a friend who was a song-writer. He said that you could never throw away the little pieces of paper in his house before carefully looking them over because there were often song ideas scribbled on them. I write kinda like that. When the inspiration comes, I jot down a phrase, a word, sometimes a whole post. I have them in a file (when I can find them and keep them from the dogs and kids) for further development later. Sometimes I wake in the middle of the night and write. Often I come back from my daily walk with a burning idea I need to write down. The boys know that if I make a bee-line for the computer without much conversation to let me get my thoughts down before they escape. I usually write with pen-and-paper first and then transfer to the computer…old school, I know. Whew! A lot of info! 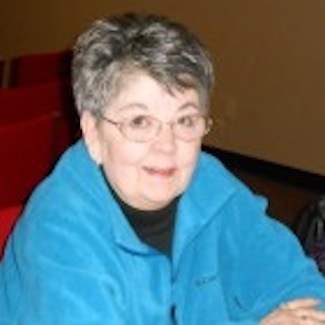 I have the joy of introducing you to one of my dear friends and sister writers for aNew Season Ministries, Linda Lint. Blog: Sparrow Scrolls. 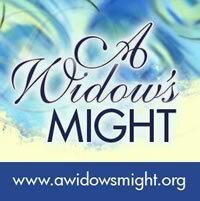 My sweet sister Linda writes of her journey into widowhood from a place of total reliance on the Lord. Her love for her Savior permeates each word she writes. I love that she is honest in her posts – honest about the hard stuff and honest about the hope she has in Christ. Read her blog; you will be blessed! Uh…what do you mean you are here?…we did not expect you…until tomorrow. My first thought was disbelief; my second, embarrassment…acute embarrassment. 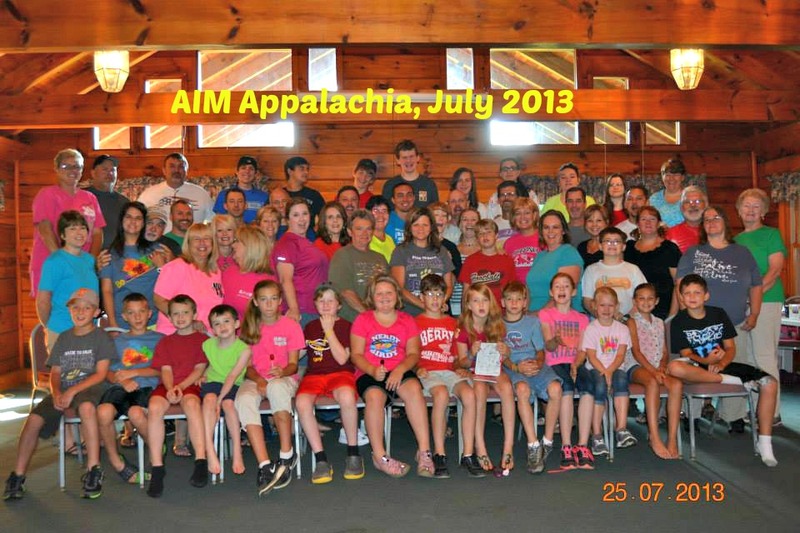 We had arrived at our family missions trip in Appalachia…the five of us…a full day early. But…God had a plan, and it was soon revealed to us. We had never done anything like this as a family. We were excited…and just a bit nervous…about our week. Now we were here…and here a day early. Did I make a mistake on the date or did they? Where were we staying that night? Had I gotten other things wrong in my planning for the trip? What did this mean for the rest of our week? The lovely couple who were care-taking were not stressed by our early arrival. They assured us that it would work out, that God had a plan for our early arrival. That took some of the stress from my mind. They called the owners of the ranch and secured a place for us to stay for the evening. Problem #1 solved. Now, what were we going to do since we were here early? God quickly answered that question for us. You see, our team leads, Dave and Sheila, needed us. When we called them to inform them of our arrival, they were at the store, purchasing food for the 60 of us for the week. They came back to the ranch, loaded to the roof with stuff…just as we arrived back from dinner. We were able to jump right in and assist them. Praise God! And we continued to assist them…filling in for other advance team members who were forced to cancel for this trip. God, in His providence, had provided extra hands for Dave and Sheila’s work, hands they would normally have had, but did not in this case. He knew of the cancellations…and put right on my calendar to arrive a day early. And we Wrights gloried in the opportunity to assist. We Wrights were able to greet all who arrived, help carry luggage, and help set the tone for a week of ministry. God was using gifts He had already worked on with us for His glory. My embarrassment and confusion over how we arrived early was replaced by joy in the fact that we had. God was in control of the week; that was highly evident. He had set us there, early, to help get the ball rolling in the right direction. Praise Him! Praise Him! Praise Him! And this was just the beginning! Please stay tuned for blogs the rest of this week, illustrating what He did in us…through us…it was truly a glorious week in the Lord. You’re the one who took my boys to the movies for their birthdays. You’re the one who hugged them on the day they were asking for it. You’re the one who wrestled with them on the church floor. You’re the one who talked sports with them and included them in fantasy leagues. You’re the one who carried them around on your shoulders as if they were your own. You’re the one who showed up at their games and cheered them on, and consoled them when they lost. You’re the one who took them hunting, fishing, and four-wheeling. You’re the one who taught them to use a mower, edger, trimmer, and weed eater. You’re the one who prayed for them, asked about them, invested in them. You’re the one who helped this tired momma with the raising-of-boys process. I am not sure what life for us would have looked like if their dad was still here…but I am blessed beyond measure that you all were here to take of some of the man slack! Well done, good and faithful servants! Yesterday was the big winter cleaning of our house. You can probably hear my boys groan from there. They have good reason for groaning. It is usually a painful day…for a very good reason. I will never win any housekeeping awards. Life gets in the way. Homeschooling, my activities, the boys’ activities, sports, travel…many things are more exciting and enjoyable, to our way of thinking, than cleaning the house. Oh, we fake a good game. Aren’t we like that with our faith, too? We put up a front…pretending we are fine, clean on the inside and out, while really we are stressed and hurting. We stumble along, ignoring the relief that could be ours in the form of friends who sincerely desire help us…all in the name of appearances. A different kind of white-washed tomb…but just as deadly, to my way of thinking. Aren’t we called to be here to share in community? Do we think all our friends are perfect, with no problems? Don’t we want to assist them with whatever is going on? Don’t we get joy from helping them? 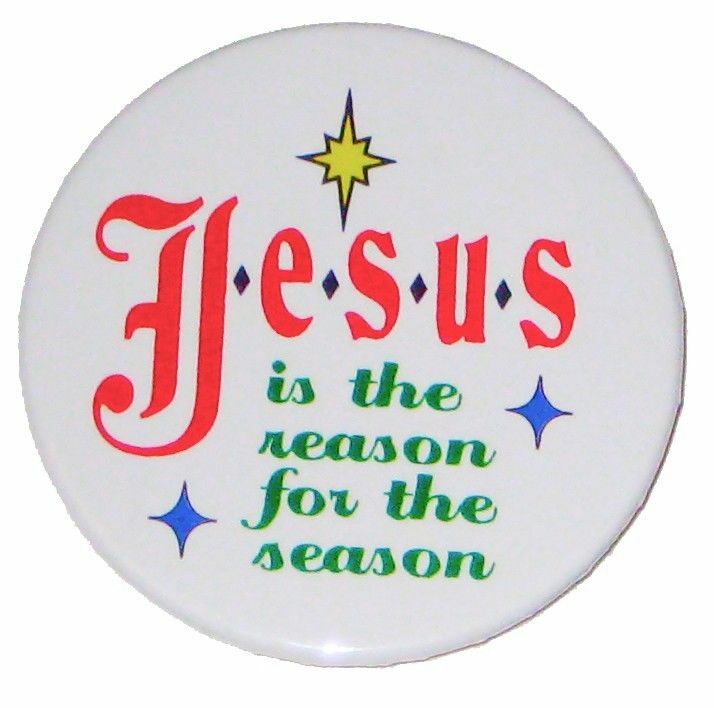 Didn’t Jesus accept from others all the time, as an itinerant preacher, even as He gave? I tell you the truth…one of the best parts of this widow-walk is the closeness that comes from needing others. I have learned, albeit painfully, that no man (or woman) is an island…nor should they be. There is a divine dependence that comes from walking this walk…and it truly is a beautiful thing. There is no way on God’s green earth that I can do all the stuff I need to do on my own. And in that statement, I am freed from trying…from trying to be perfect, from trying to be all things to all people, from trying to walk alone. And that’s a truth I need to remember each and every day. And thank You, Lord, for another day. Because You were willing to die on a tree.